Type Locality Atesu R., Ghana. Distribution Africa: Guinea (Gbin River) and Sierra Leone to Ghana (Pra River). Also known from the St. John River in Liberia and the Mono River in Togo. Feeding Frozen foods and flakes are greedily taken. Furniture Some rocks, driftwood and long-leaved plants. A current is strongly recommended. 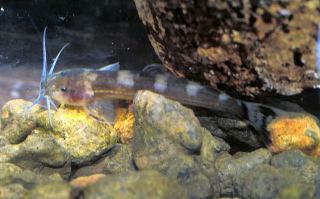 Compatibility Small fishes that aren't easily frightened by the swift movements of A. atesuensis. Not with much larger and/or agressive fishes. A sociable fish that should be kept in a (small) group. 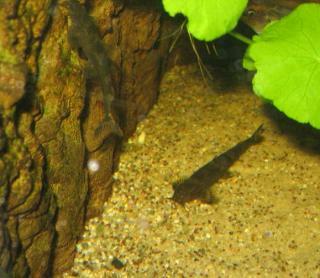 Suggested Tankmates Other small African catfishes that like to move around as well as Characins or Cyprinids. 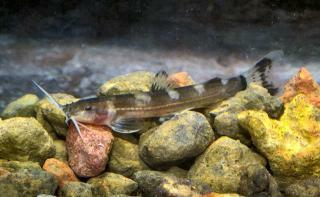 Some fish, like for instance Corydoras, tend to get nervous from A. atesuesis.